Dr. Salonen’s earned a doctorate in Information Systems Science from Aalto University School of Business. His doctoral thesis, “Evaluation of a Product Platform Strategy for Analytical Application Software” provides software businesses a fresh view of software development using a product platform strategy as a development approach. 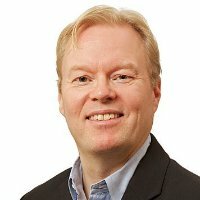 Dr. Salonen is active in both research and business community and is the past global President for International Association of Microsoft Channel Partners (www.iamcp.org). He is the Founder and Chief Executive Officer TELLUS International, Inc, a US-based management consulting company that provides strategy consulting, research and internationalization services for companies that want grow their business internationally or to change current business model to reflect new requirements. Before founding TELLUS, Dr. Salonen served as corporate CEO InfoManager Corporation, a leading global business intelligence, and analytics software vendor. A large public US company acquired InfoManager in the fall of 2004. In December 2004, DM Review recognized InfoManager as one of the top 100 global software companies. As a frequent speaker at professional conferences, Dr. Salonen continues with his academic efforts by participating in research efforts around the world. Dr. Salonen’s book entitled, “You Can Make it Abroad- Leading Global Business”, was published in 2007 by the Finnish publisher Talentum. A second book from Dr. Salonen was published in June 2010. Other TELLUS International owned web-sites are TELLUS Academy and TELLUS Cloud.